With Memorial Day weekend around the corner, my mind is on barbecue. And you can't talk about Texas BBQ without mentioning Rudy's. It's a classic. 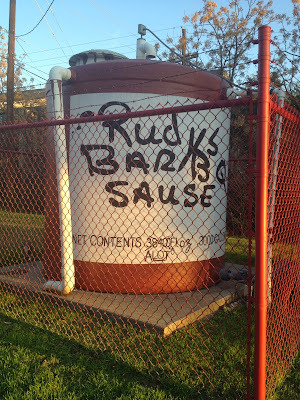 Rudy's locations are multi-functional, consisting of both a bbq stand and pump station! The original location, founded in Leon Springs, Texas, was a gas station, garage, and grocery store - hence the "country store" aspect. Granted, after it was first introduced in 1989, the barbecue has since taken over both the grocery and gas services. And once you have it, you'll understand why. Rudy's serves up all the basics: red-rimmed smoked brisket, fall-off-the-bone baby back ribs, and house jalapeño sausage. 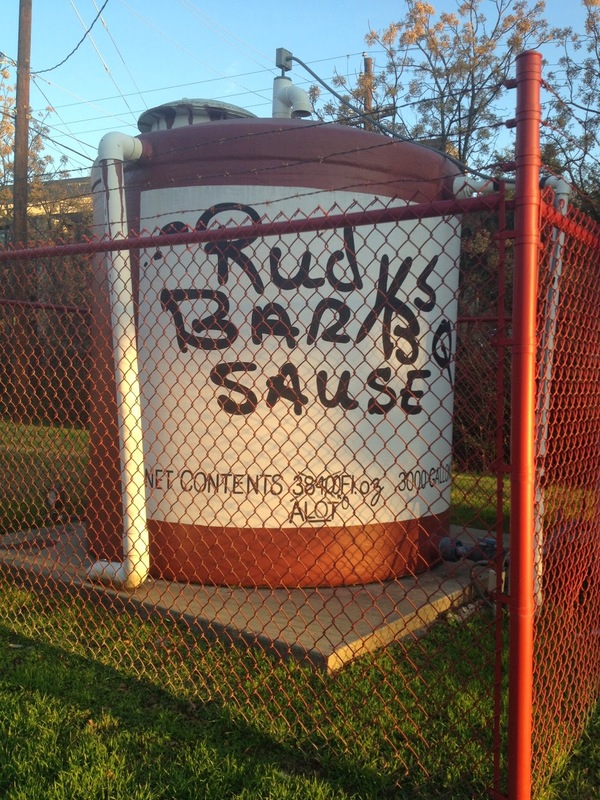 With an abundance of oak trees in Texas, Rudy's is unique in using oak wood for their pits as opposed to hickory or mesquite. When you first arrive inside, it's time to queue in line, but don't worry, there's plenty of entertainment. First there's the Cutter Cam where you can watch the butchers hack away at all the meats, making you feel even more hungry. And just when you think you've had quite the experience, don't forget to check the signs on your way out.